Bangladesh made a dramatic comeback to beat India 4-3 in the SAFF U-18 Championship opener played at the Changlimithang Stadium in Thimpu, Bhutan. Courtesy of goals from Lalawmpuia, Edmund and Princeton, the young Indian side were up 3-0 at one stage but complacency got the better of them as Bangladesh grew into the game with confidence. Goals at 55th, 59th, 74th and 91st minute from Bangladesh resulted in Indian team losing the massive lead and the game. 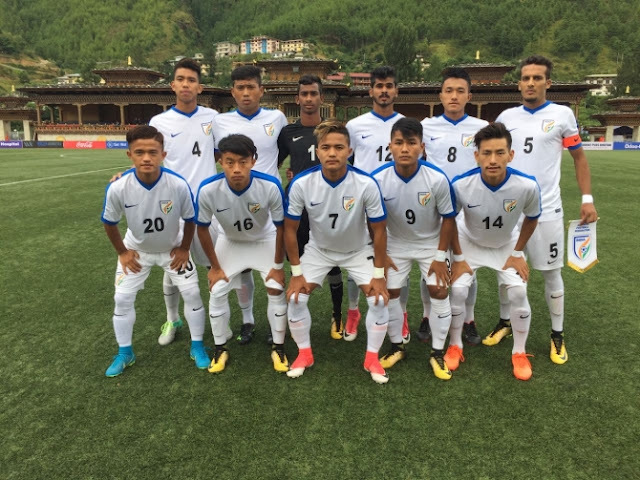 India U-18 will face Bhutan U-18 next up on 22nd September 2017.